TAKE A PHOTO OF THE FAMOUS IPIL ROTUNDA OBELISK: If you're from Zamboanga City, you will definitely pass by the circumferential road where the gigantic obelisk stands. It is iconic and can easily get you attentions because of its unique design. 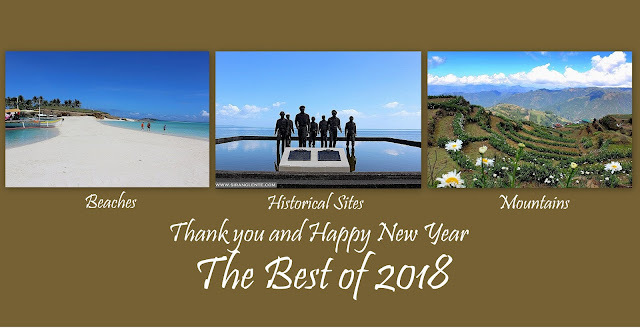 VISIT THE MOST ARTISTIC PROVINCIAL CAPITOL IN THE PHILIPPINES: I personally consider the the provincial capitol of Zamboanga Sibugay as the most artistic and colorful capitol that I visit. The colors, the patterns, the shape of the structure, and the entire design are just stunningly perfect. Aside from the artistic design of the capitol, the area was made special because of the mini-Disneyland exhibit in front. This exhibit includes real life Disneyland mansions and castles. However, according to the news I read, this exhibit will be until 18 February 2019. A mandatory selfie. Can you name this castle? Had an overnight stay at GV Hotel, just a few meters away from Jolibee. It is one of the cheapest and budget friendly hotels in Ipil. For 570 pesos, the room has toilet and bath, two single beds, cable tv, and fan (because it's a fan room). The area is secured, near food establishments, near BDO and other banks. Cebu Pacific has their regular trips to the airports in Dipolog City, Pagadian City and Zamboanga City. As previously mentioned, Ipil serves as the bus stopover, thus, you can choose either of these 3 airports. Then, you can take Rural Transit buses; Ipil to Dipolog is 5.5 hours, Ipil to Pagadian is 3 hours and Ipil to Zamboanga City is 4 hours.